Last week was another solid week of base training. I didn’t have any great workouts, but didn’t have any bad ones either. As much as I love the heat and prefer running in it over the cold, even I have to admit that it slows me down. This was especially obvious at the track and on my long runs this week. Hopefully it’ll just make me tougher for a fall marathon though. Tuesday: 7 mile run plus 4 striders after work. I got absolutely poured on during my run, but it just reminded me how much fun it is to run in the rain when it’s warm out. Wednesday: Today I got in a 30-minute strength workout with a focus on legs and a lot of single leg squats. 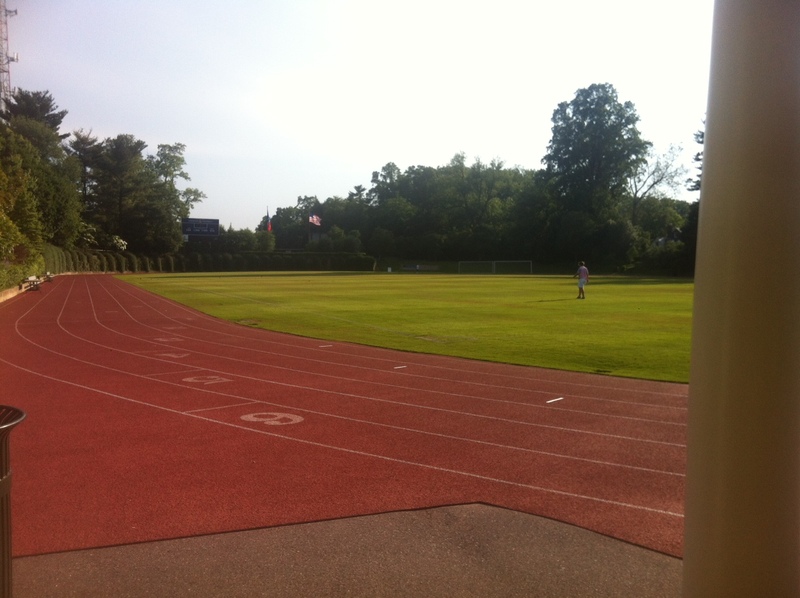 Thursday: I hit the track at American University for a 2X1 mile and 3X1000 meter workout hitting my splits in 7:22, 7:34, 4:44, 4:42, 4:41. Saturday: 9.65 miles starting at 10 a.m. along Mt. Vernon Trail with temps in the high 80s and close to 70 percent humidity. It’s definitely time to start getting my runs in earlier. As I passed through Gravelly Point Park on my way back and was struggling a little, a random lady yelled, “love your newtons, good job!” It totally made my run, put a smile on my face and got me moving along for the last couple miles. Runners are the best! Sunday: I didn’t make it up early enough to get my run in before the day started and felt completely unmotivated all day. I finally got myself to the gym close to 9 o’clock at night and slogged through a slow 5-miler on the treadmill. It wasn’t a good run, but I’m sure glad I got myself to do something. This entry was posted in Fitness, Running and tagged long run, running, strength, track, training, workouts by Colleen Lerro. Bookmark the permalink.